News trickles during this season. How about some YouTube videos of the Rez? I discovered Scott Hall's drone videos. Definitely check them out. They provide unique views of the Rez and life thereabout. Drone footage taken at the Highway 43 entrance to the Pearl River Wildlife Management Area. Randy Ates Agency generously advertises with the Rez News. I am grateful for our advertisers and would like to highlight their services. Below is information provided to the Rez News by Randy. Thank you for considering our sponsors. Randy Ates Agency has been in business since 1989. We specialize in auto, homeowners and life insurance. There are four areas that I feel separates us from most of our competition. First is honest service. We want to treat our clients like we would want to be treated in any business situation. Second, is the expert advice that we can recommend to a new client. We will continue to advise them when their insurance needs change. This will avoid any gaps in coverage or limited coverage. Third, when one of our clients has a claim, we will guide them through the process from beginning to end. The fourth area is competitive rates. No insurance company will always have the lowest rate on all their policies. But we know that when we use the same rating criteria, we will have competitive rates on our products. We would appreciate the opportunity to provide you with a second opinion on your current policies. We may be able to save you money or offer you better coverage. This would give you a point of reference by allowing us to see how we can help you. Please give us a call today at 601-992-6000. Randy Ates has lived in the Reservoir area for 21 years. 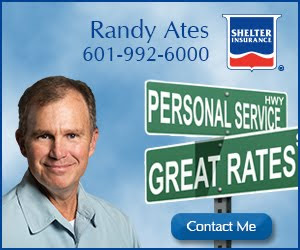 His business, Randy Ates Agency with Shelter Insurance, has been in the Reservoir area for over 20 years. Randy is an honest, godly businessman who works for a higher purpose. He is a member of Meadow Grove Baptist Church in Brandon where he has previously served as a middle school Sunday school teacher and is currently the head of the prayer team. Randy is a family man. With his wife, Lori, of 24 years, they have raised 2 kids. Kasy, who is a Mississippi College graduate and Ridge, who is currently enrolled in community college. Randy coached sports team and played the role of principle during his kids' homeschooled years. Amerigo Flowood will be opening the second week of January 2016. The Rankin County Swearing In Ceremony went forward without a hitch. Three new Supervisors were sworn in, including District 2's Daniel Cross. Also, a new Superintendent of Education, and a couple of new School Board members. The first official meeting of the new Supervisors is Monday. I spoke with Jack Winstead at the reception following. He informed me the PRVWSD will gain three new Board members in the upcoming weeks as well. Below is the agenda for tomorrow's swearing-in ceremony at the Circuit Courtroom of the Rankin County Justice Center in downtown Brandon. Festivities begin at 9 a.m.
Popular Reservoir area crawfish restaurant, Mudbugs, is hiring. Download the job app here. This evening I found a set of keys near the walking trail along Northshore Parkway. They were in the woods between Fox Bay and Northshore Village, directly across from Countryside; they hadn't been there long. Two keys on the keychain, one was a replacement key for a Nissan car (labeled Axxess 37R), the second key is a smaller, nondescript key. The owner should be able to identify the brand keychain. If they are yours, shoot me an email: usmjacksonalum@yahoo.com. It is with heavy hearts this morning we inform you that we lost one of our own over the weekend. Officer Leonard Redd passed away on December 19, 2015. An account has been opened at BancorpSouth if you would like to make donations to Officer Redd's family. 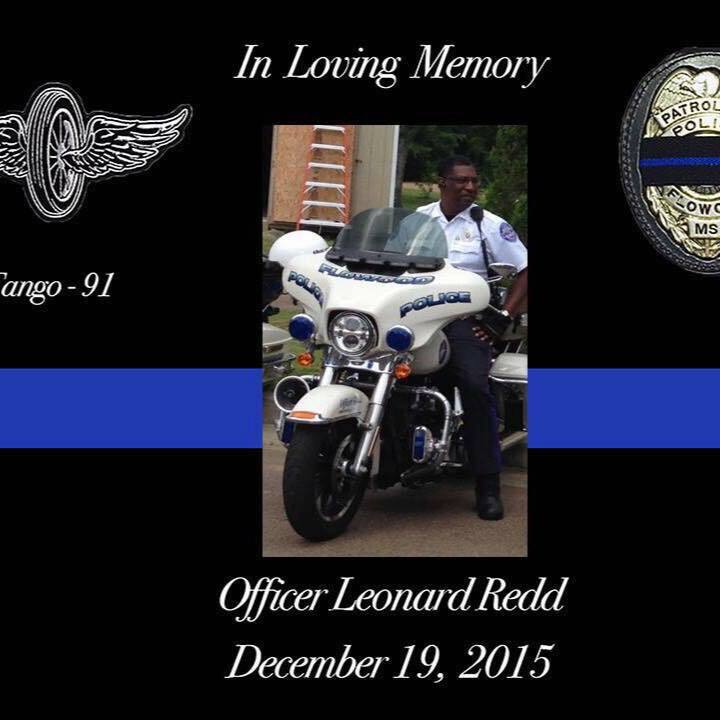 Thank you and please keep Officer Redd's family in your prayers. Below is all the information you need on the upcoming auditions for the Black Rose Theatre's production of Princess Whatsername. They are looking for talented children and teens currently in Kindergarten through 12th grade. 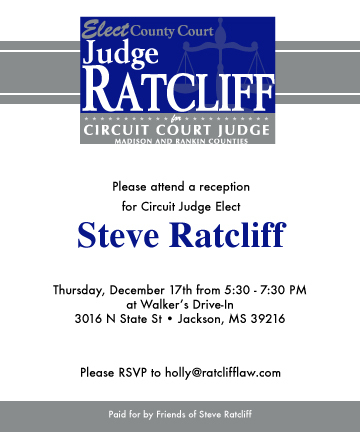 You know about Movies-N-Moonlight, and Judge Ratcliff's reception, and we previously talked about the Rez Dog Park Kick-Off. Looking for more to do on Thursday? 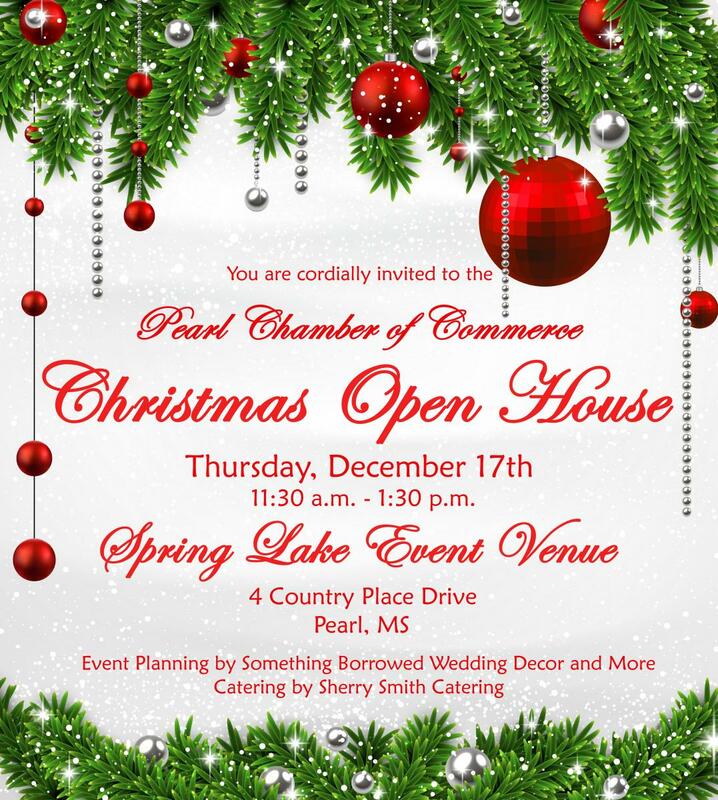 Head down to Pearl, for the Pearl Chamber's Open House at the Spring Lake Event Venue from 11:30 a.m. to 1:30 p.m.
From the City of Flowood. Be advised, this movie is in the Nature Park, not Winner's Circle Park. The weather for Thursday is a high of 60 degrees and a low of 36. That means high 40's at show time. Dress appropriately. Clear skies, no chance of rain (according to weather.com), and a slight breeze. Perfect. 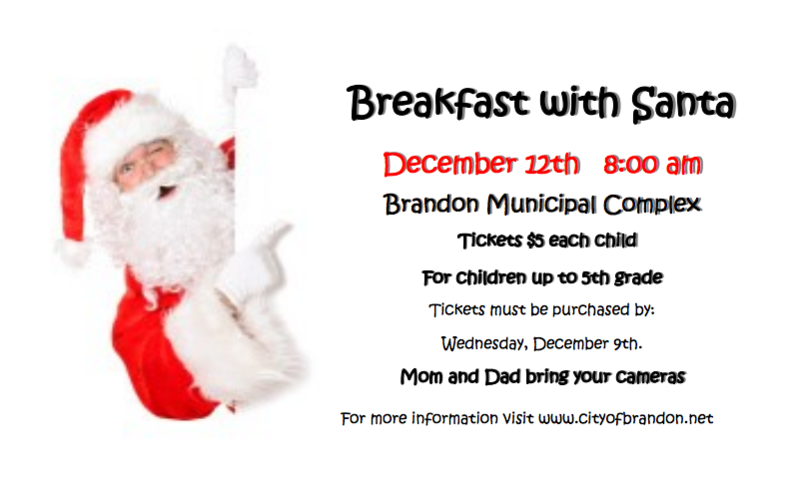 Breakfast with Santa at 8 a.m. Saturday at the City of Brandon Municipal Complex. 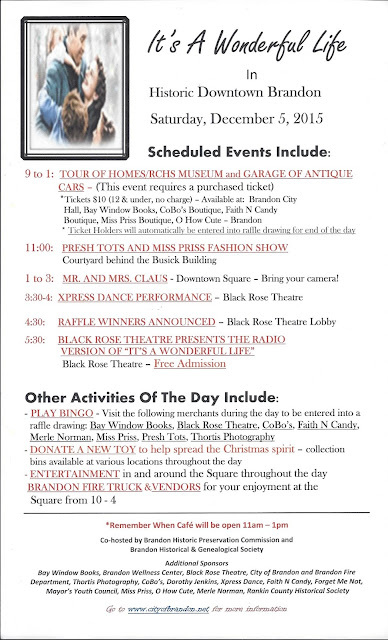 Beyond the Blue, Blue Christmas, at 10 a.m. Saturday at the Rankin County Safe Room on Marquette Road. Small Town Country Christmas is tonight, as we spoke about yesterday. Santa's Wonderland ongoing at Bass Pro Shop. Cookies With Santa at the Jackson Zoo from 1 p.m. to 3 p.m. this Saturday. A Christmas Carol at New Stage Friday, Saturday and Sunday. At the MS Children's Museum you have, tonight, you have "An Evening With Elves" from 5 p.m. to 8 p.m., including a performance by the Jackson Prep 7th grade show choir. Saturday, you "Yes, Virginia, there is a Santa Claus", performed by Florence High School at 2 p.m., and from 5 p.m. to 8 p.m., you have Hotcakes and Snowflakes. At the MS Museum of Art, you have Festivus Bottle Tree Orchard. 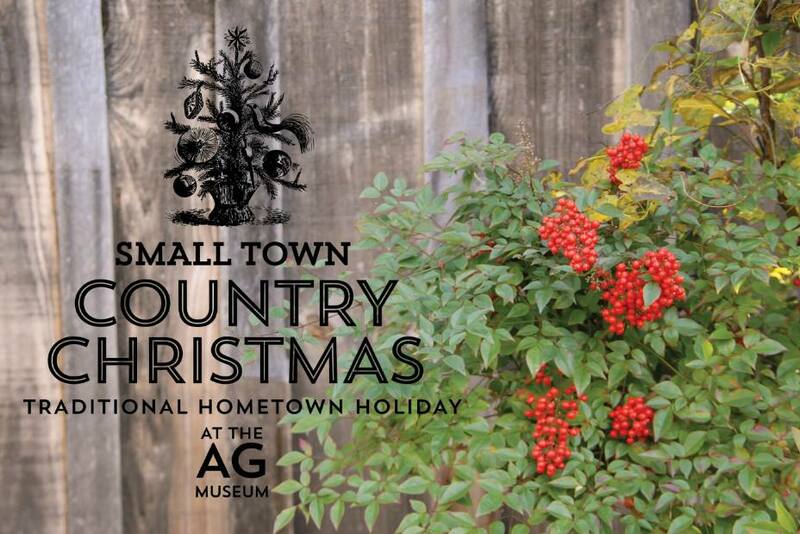 The Mississippi Agricultural Museum's Small Town Country Christmas is tonight and tomorrow. It's from 5 p.m. to 8 p.m. No admission fee. 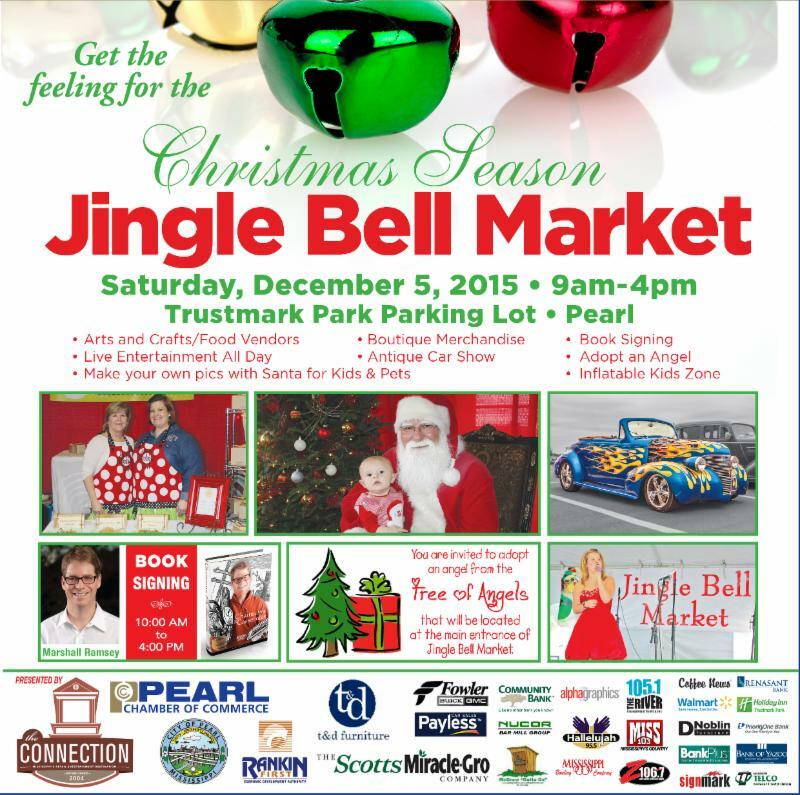 You'll have carousel rides, Mrs. Claus, carolers, crafts, beautiful lights, etc. PRVWSD and the Barnett Reservoir Foundation kick around the idea of a dog park at the Old Trace Park in Ridgeland. Below is the media release, layout of the proposed park, along with links to various social media sites where you can follow the discussion further. Warning someone tried to break into a home last night in Bellegrove on Cumberland Rd. They tried to pick the lock. Police were called but the guy took off. Only description right now is a tall man in a black jacket. Will update if a better description is available. There are three events coming up at the Flowood Library. The first is a Tween's Only Ornament Decorating Event, sponsored by Fat Cat Art Cafe and Dr. Pepper. 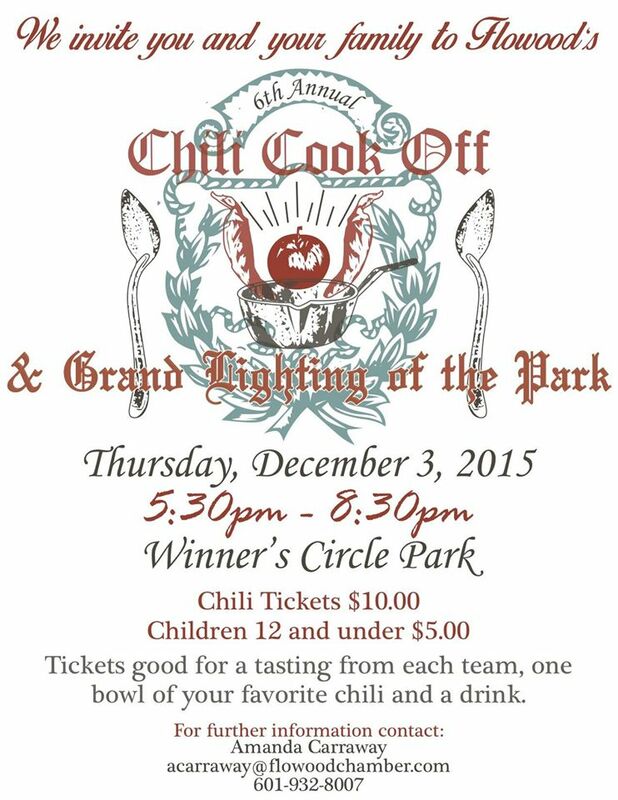 This will be Tuesday, December 15, 2015, at 6 p.m. I'm told by my wife a tween is a child aged 10-12. The first ornament decorated is free, any additional ornaments are $3. The second event is the Friends of the Flowood Library Open House. 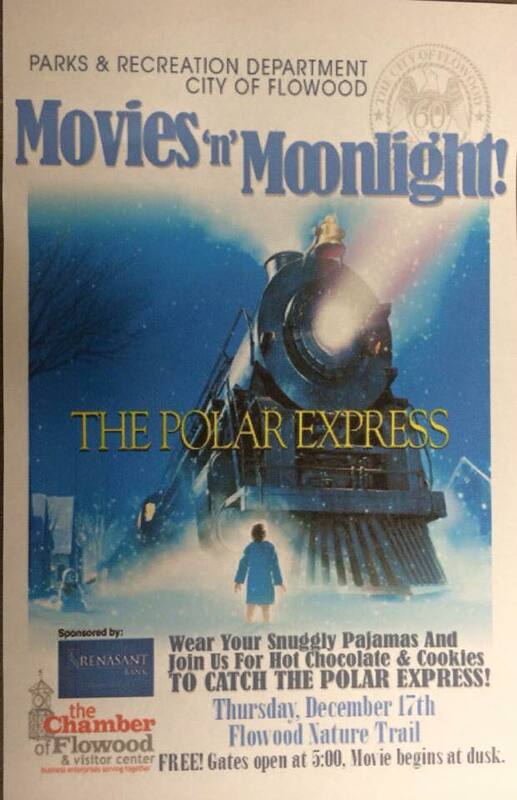 This is Thursday, December 17, at 6 p.m. Newk's is catering. 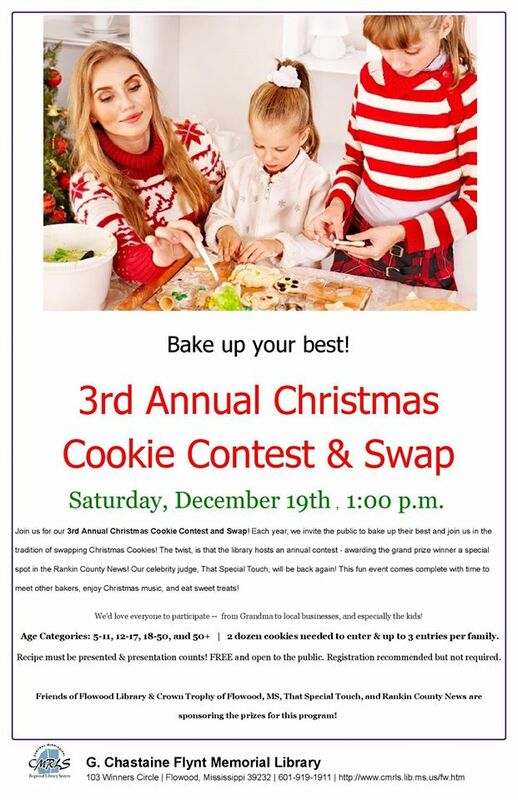 Each year we invite the public to bake up their best and join us in the tradition of swapping Christmas Cookies! The twist, is that the Library hosts an annual contest, awarding the grand prize winner a special spot in the Rankin County News! Our celebrity judge -- That Special Spot -- will be back again! This fun event comes complete with time to meet other bakers, enjoy Christmas music, and eat sweet treats. We'd love everyone to participate, from Grandma to local businesses, and especially the kids. Madison and Rankin Counties’ District Attorney Michael Guest announced today that Xavier Collins Johnson was sentenced to serve 95 years in the custody of the Mississippi Department of Corrections. A Madison County jury found Johnson guilty of the 2014 Burglary of a Dwelling and Aggravated Assault of a 75-year old Madison County man and Conspiracy to Commit Credit Card Fraud. Johnson was convicted as a habitual offender and will be required to serve his sentence without the possibility of probation, parole or early release. Bring the kids and a camera to the Dogwood location of Chick-Fil-A. Santa will be there between 5 p.m. and 7 p.m. tonight! I posted this last week, but because of the importance, I wanted to re-post. This is your opportunity to have a bit of a say in the future of the county. Monday, December 14, 2015 3:30 p.m.
2. Approval to award purchase of three generators. 3. Approval of award construction contract for seawall project construction. 4. Approval to award construction contract for 18” sewer line replacement at Spann Drive. 5. Approval of lease for boat dock parcel at Pelican Cove restaurant (Blue Moon Properties). 6. Mandalay Bay/BankPlus property consideration of revised master plan. 7. Approval of final plat, Lost Rabbit Phase B-1, North, lots 701-740, Madison County, Mississippi. The City of Ridgeland posted 307 photos from its Christmas Parade this past Saturday. View them here. Enjoy. Patriot's, on Monday December 7th, there will be a Flag Dedication to the Military Veteran's at Castlwoods Blvd and Bradford at the flag pole. 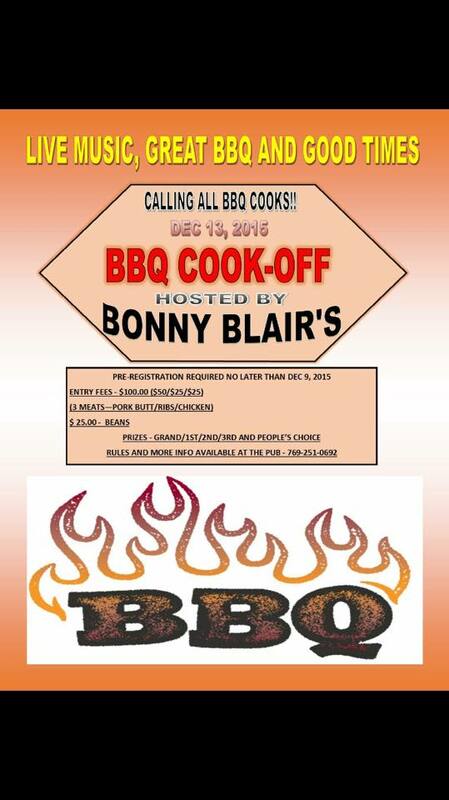 It will be at 12:00 noon and all are invited. I have Reservoir Fire Chief Scott Berry, Asst. Fire Chief Josh Swales, Larry Swales Chancery Clerk, State Senator Josh Harkins, State Legislator Mark Baker, and newly elected Supervisor Daniel Cross, and General Cross and also 172d Airlift Wing . All are invited especially all WWII Veterans who are still alive around the area. WWII Veteran, Fireman First Class Wesley Byrd, who served in the Navy on the ship USS Wadleigh will be in attendance. The Central Mississippi Planning and Development District does a good job keeping Rankin County on the map. If you haven't played around with the interactive Rankin County map, you ought to. 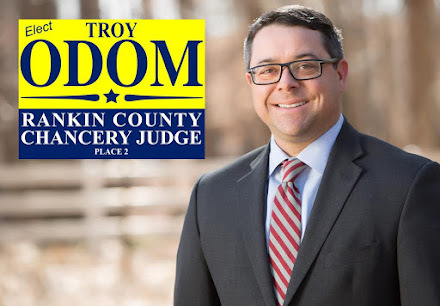 It's on the RankinCounty.org website, and has a lot of fun features, like political districts, parcel ownership, and zoning info. Celebrating its twenty-fourth year as a community tradition, in 2015 the scene will depict all the traditional figures. Mary, Joseph, the baby Jesus, shepherds, and the wise men will be portrayed by members of the church. Adding to the authenticity are live stable animals including a cow, donkey, sheep and goats. Even one of the wise men's camels will be present. Each year the scene is accompanied by narration describing the events that took place over 2000 years ago. Preparations for the scene begin in the summer when the ladies of the church check, repair and renew the costumes. Then the weekend before Thanksgiving the church men set up the stable and hang the lights for the star. The youth help the morning of the scene filling the 300 luminaries with sand, setting them out and lighting them as evening approaches. Finally the animals arrive and the scene is set for the annual event. The scene is located in front of the church at the corner of Crossgates Blvd. and Old Brandon Road. Visitors are invited to drive by or park and walk up and begin the month by remembering the true meaning of the season. Hot refreshments will be served in the fellowship hall. Flowood Baptist Church will retell the story of the birth of Jesus with a live nativity Friday, December 11, and Saturday, December 12, from 7 p.m. to 9 p.m.
Shiloh Methodist Church puts on a "Journey to Bethlehem and Beyond" on Saturday, December 12, and Sunday, December 13, from 5:30 to 8:30 p.m. If you know of any more, let me know and I'll post. For more info, go here. Per the Weather Channel, it will feel like 41 degrees out there this evening. Almost all gripes coming from those who comment on this blog revolve around zoning, the lack thereof, or the copious variances awarded from same. Got a beef? Now is your time. The Rankin County Board of Supervisors want to hear from you. The Rankin County Board of Supervisors is working with the Central Mississippi Planning and Development District (CMPDD) on an update of the county’s Comprehensive Plan and Zoning Ordinance. In order to assist CMPDD planners and county leaders in developing this plan, we are asking citizens to complete a brief online survey. Your input and comments will be a valuable part of this process. Please click here to take the survey. You may also access the survey from the County’s website, www.rankincounty.org. Sadly, on the side of Lakeland Drive this morning. Richardson Light Show is a family oriented Christmas display located in Madison, Mississippi. Our mission is to inform our guests about the true meaning of Christmas, the birth of Jesus Christ. Without Him, we would have no reason to celebrate this wonderful holiday. Additionally, we want to make a difference in our community as well as surrounding community's by providing a "no admission charge" community event. We strive to provide great holiday entertainment, fun, joy, and laughter for everyone during the Christmas season. We hope all of you enjoy our display and we look forward to seeing you and many new guests this Christmas! Go to their Facebook page for all the information for prep work. Don't do that Facebook jazz? Just go to their regular webpage. Magnolia Crappie Club vice-president and Barnett Reservoir regular Bernard Williams said he doesn't think the inadvertent transfer into the lake is a possibility; he thinks it's inevitable. "That's where everybody goes to get their catfish bait," Williams said. "You can't tell a baby carp from a shad." The prospect of silver carp disturbing the food chain in Barnett Reservoir is not something Williams is happy about. "Man, I've seen them ruin a lake," Williams said. "They (crappie) don't have anything to eat. "That makes the crappie thin. They don't have anything to eat."